We can’t record the priceless scenes as hundreds of students fill the Chabad Center to celebrate Shabbat and Jewish holidays. It is impossible to track the friendships forged, the confidences exchanged, the laughs shared, the lessons absorbed, and the inspiration gleaned. 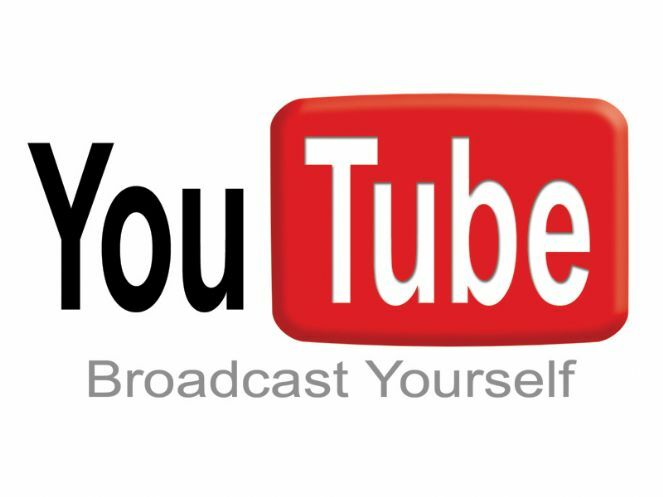 But we do invite you to scroll through the thousands of pics and view the footage in our gallery to get an idea of the constant buzz of activity at Chabad. 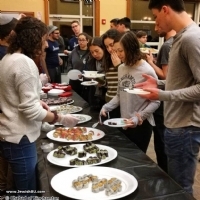 April 5, 2019 set a new record with over 1800 BU students gathered at the event center for Shabbat 1800, the single largest Shabbat dinner on any campus and arguably in any single venue. 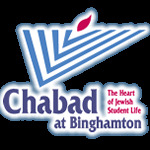 The program initially conceived by Chabad of Binghamton in 1994 has been replicated on campuses around the country and in a few locations abroad. 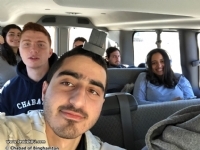 At Binghamton the program is executed by a large cadre of devoted and hard working students who work on recruitment, logistics, catering and transport to bring to fruition the dream of uniting as many as possible in a joyous show of Jewish community and pride. This year was the program's 25th anniversary and it absolutely exceeded all expectations! "This is what you gave me On March 28, the Chabad Center in partnership with SDT held it's 10th annual Fashion for a Cure event to benefit Sharsheret. The event included a pre-show cocktail party for senior women, a dessert buffet, the chance to buy tickets to win one of ninety raffle prizes and entertainment by the IFD dance troupe and the Harpur Harpeggios. Four students offered deeply moving remarks.Finally, a fashion show capped off the evening with the girls strutting down the runway personifying famous female icons in keeping with this year's theme: Empowered Women Empower Women. Over 400 BU women attended the event held at Chabad. 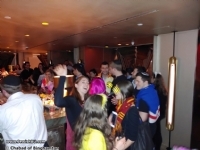 The event raised over $19,000"
The Purim Hour, a purim party which included Megillah readings and a Purim Seuda held in NYC for Chabad of Binghamton alumni is the beginning of a new tradition! Lucky girls joined Hadasa in her home kitchen to whip up a feast worthy of the Shabbat Queen, all in 30 minutes! after which they enjoyed the fruit of their labor. What could be better? The guys had a blast-- and some good ol male bonding-- at their Boys Night Out which took them to a Binghamton Devil's game. Plus: Eric got to keep the stick!!! In honor of Purim Katan, BU professors Alan Arkush and Randy Friedman debated the serious matter of Hamantashen v.s Latkes, Professor Jon Krasno moderated. The gravitus of the matter was given due respect on both sides with sharp wit displayed all around. Questions were taken from the audience/judges which added more spice and spirit. Who won? the latke and everyone who was there that night! The Chabad E-board took a trip to NY where they visited the Rebbe's Ohel, got a VIP tour of Lubavitch Headquarters at 770 Eastern Parkway, Escaped the Room ( in record time) and enjoyed dinner together. What a day! 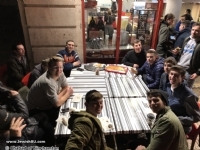 A group of "almost BU students" meet up In Yerushalayim to get the lowdown on Bing from current student leaders. 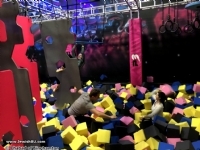 We can't wait to have you here! Students midst cramming for finals frenzy enjoyed the midnight madness breakfast of bagels and shmears, eggs, pancakes and waffles with a side of laughter and camaraderie. View a video recap by clicking here: http://bit.ly/MenorahParade2018 Binghamton was alive and ashine in Chanukah Light with a 30 car Menorah Parade led by the Meonorah Mobile and three motorcycles outfitted with Menorahs. The spirits were high, the vibe was superb and the spirits soared as participants sang and danced away. The parade proceeded downtown and then across the river to Campus circling in UClub and passing Hayes before entering through the front gates of campus. The lighting on campus was attended by hundreds of students with spirits soaring who enjoyed the Chanukah treats, singing and dancing. Photos By D. Kinches and J. Cohen. A special Challah bake was held in honor of Daniella Oga bat Sharona for her speedy and completely recovery. Amen!